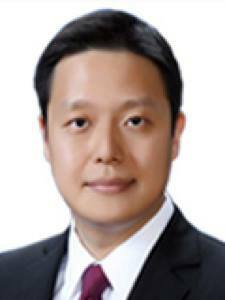 Taeho Lee is a communication researcher, strategic communicator, and lawyer. His research interests include strategic communication, corporate social responsibility, organizational transparency, institutional theory, and public records laws. Lee, T. & Comello, L. (In press). Transparency and industry stigmatization in strategic CSR communication. Management Communication Quarterly. Kim, H., & Lee, T. (2018). Strategic CSR communication: A moderating role of transparency in trust building. International Journal of Strategic Communication, 12(2), 107-124. Lee, T. & Boynton, L. (2017). Conceptualizing transparency: Propositions for the integration of situational contexts and stakeholders’ perspectives. Public Relations Inquiry, 6(3). 233-251. Lee, T. & Riffe, D. (2017). Business news coverage of corporate social responsibility in the United States and United Kingdom: Insights from the implicit and explicit framework. Business & Society. 10.1177/0007650317696314. Lee, T. (2017). The status of corporate social responsibility research in public relations: A content analysis of published articles in eleven scholarly journals from 1980 to 2015. Public Relations Review, 43(1). 211-218. Lee, T. (2016). Public records fees hidden in the law: A study of conflicting judicial approaches to the determination of the scope of imposable public records fees. Communication Law & Policy, 21(2). 251-79. Lee’s research areas include corporate social responsibility, organizational transparency, strategic and organizational communication, communication law and policy, and mass communication theory and research methodology. He has published articles in a number of peer-reviewed journals, including Business & Society, Management Communication Quarterly, International Journal of Strategic Communication, Public Relations Inquiry, Public Relations Review, and Communication Law and Policy.